Consolidated Properties Executive Chairman Don O’Rorke said market pundits have got it wrong, and the Brisbane CBD has a significant apartment undersupply. He said his point of view was recently supported by the latest Urbis research, which showed that only 1812 units are under construction in the CBD across four projects. In 2017, only 666 units will complete, with 810 units completing in 2018, and 336 in 2019. Urbis said the majority of the units have been presold with no further developments scheduled to complete until the Queen’s Wharf Casino project finishes its first stage in 2021/2022. “The essential difference between this Urbis report and other market indicators is that this report focuses on the buildings that are currently under construction,” Mr O’Rorke said. “There is simply no point in tracking mooted projects because we know that virtually none of them will proceed, due to the constraints in current funding. 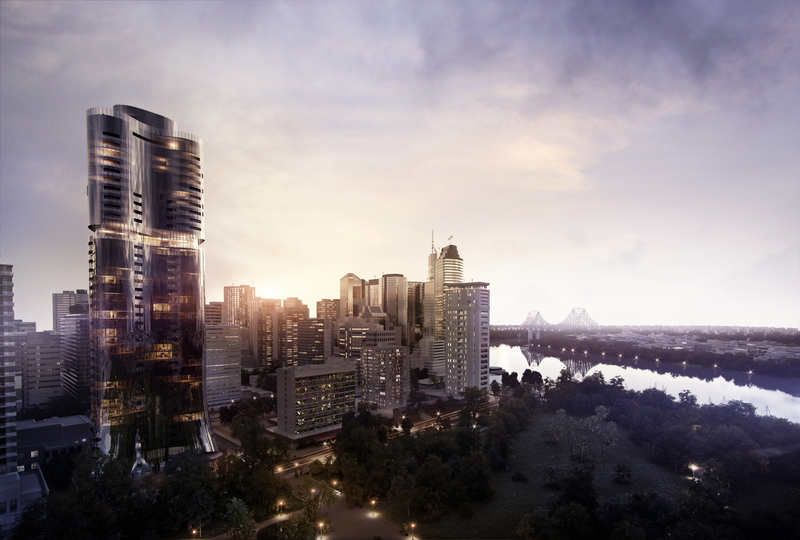 “The only certain fact is that the four buildings under construction in the Brisbane CBD will be the only additions to the existing market stock in the coming years and 1812 apartments, by any measure is a small number,” he said. Sky Tower – by Billbergia, at 222 Margaret Street, with 1,138 apartments progressively completing over two years to 2019, and 176 of those apartments will finish from Q2 2017. Mary Lane – by Sam Chong, at 111 Mary Street, 184 apartments finishing in Q2 2018. “Brisbane is very much a fragmented market and a buyer or tenant who wants to be in the CBD does not want to be in The Valley, Newstead or South Brisbane – all of which have substantially more stock completing in 2017 and 2018,” Mr O’Rorke said. The Urbis report shows the Northern Market (Fortitude Valley and Newstead) has 3,879 apartments finishing in 2017 and 2018, while the Southern Market (West End and South Brisbane) has 3403 apartments completing in that same two year period. The CBD contains only 10% of the new apartments scheduled for completion. Urbis’ current tenancy report shows a vacancy rate of only 2.3%, which clearly indicates the supply is being fully absorbed by the rental market. However this doesn’t show the scarcity of medium to long term tenancy availability. The CBD location has a large component of short term rental availability which is unique to this particular market and belies the pent up demand for longer term tenancies. The Brisbane CBD is a supply led market, with spikes in sales whenever product becomes available. This, combined with the scarcity of development locations, as well as further demand being driven by population growth and jobs, reinforces the trend towards strong future demand for CBD apartments for sale and rent. The latest Brisbane Inner City population growth figures show an increase of 1.8%. While white collar jobs continued to grow in Brisbane in the last quarter of 2016, according to Property Council of Australia research. Mr O’Rorke said that the Brisbane market had cooled following APRA’s move to constrain local banks’ lending practices, but that the very low level of supply in the CBD would virtually underwrite the value of the four projects currently under construction. “The market will be crying out for new product in 2019. We certainly don’t see any oversupply issues in the CBD,” he said.